My whole 'near suicide attempt' was that I was contemplating suicide, but I didn't have a sharp enough knife, or the balls to more or less saw my arm open with a dull knife. Then I found my box cutter from work that I thought I lost in my pocket, and took it as a sign that I should down all of my diazepam, about 80mg, and cut myself open. Fortunately, my parents called me out on my depression, and I decided to try therapy instead. A bird shoots out of the clock pronouncing, "cuckoo cuckooo." He is taken by ambulance to a hospital, where he is put on suicide watch for self-inflicted head trauma. Do I at least get a talking canine sidekick? 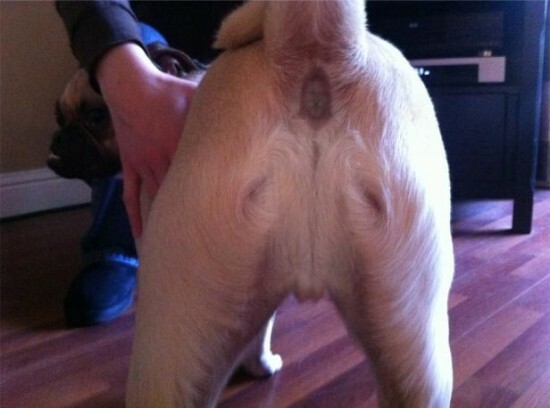 Or will I just see visions of Jesus everywhere? You know, I tried to contribute here with a picture of a dog dressed like Jesus but I literally couldn't find one. Has the internet finally failed me or did I fail myself?